Granular recovery options in VMware allow individual VMDKs to be selectively restored instead of the entire VM. The VMDK file can be optionally restored to the original VM or an alternate location. Microsoft’s Hyper-V is becoming more prevalent in today’s data center. Accelerator, NetBackup’s journaling capability for faster backups, now extends into the Hyper-V stack. The cloud and its many use cases is a current topic for every IT department. For those who are able to embrace it and leverage Microsoft Azure, NetBackup now supports Blob storage as a target for backups. Features of the connector include support for Accelerator, Compression, Encryption, Metering, and Throttling to name a few. Veritas has released a virtual model of its game changing appliance line. Built to support the smaller remote office, the virtual appliance provides a local deduplication backup solution that leverages virtual and storage resources already in place. NetBackup appliance capabilities have also been enhanced. The 5330 appliance model capacity has expanded from a maximum 458 TBs to 687 TBs. Additional features to the entire line include optimized Copilot shares, syslog forwarding, and DIMM monitoring via AutoSupport. A new licensing option has been introduced for customers that wish to procure licensing for virtual environments via socket (up to 100) to mirror today’s hypervisor models. There are several ways this can be combined with existing licensing (traditional or capacity) to support different workload models. 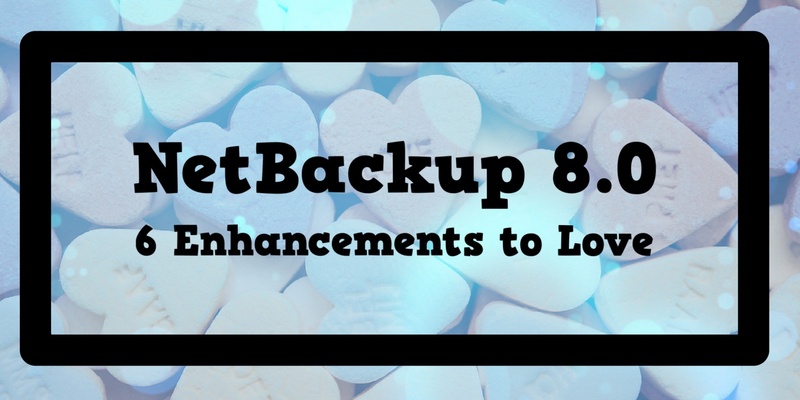 For more information on all the new features of NetBackup 8.0 check out the detailed release notes. The release of NetBackup 8.0 should also remind everyone to review the end of life for previous versions. All versions of 7.6.x will be at end of support life starting on 2/1/2017. You can read the end of support notice from Veritas here. If you have not upgraded and need assistance, Daymark can help you with the upgrade process so that you are compliant or to simply extend support for legacy systems running version 7.6.x.